Making a Frittata is a lot like making a Quiche, but it takes a lot less time, and it’s lower carb. So next time you roll out of bed on a weekend, and want something a bit more fancy than scrambled eggs, try a Frittata. Preheat the oven to 425°. Heat an oven-proof skillet over medium high heat. Add the butter, and sauté the vegetables until the onion is translucent. Add the ham, and stir to heat evenly. Add the eggs and cheese, and stir until the bottom and sides start to cook. Put the skillet into the oven, and cook until eggs are set (approximately 5 minutes). Remove pan from oven, and cut into wedges. 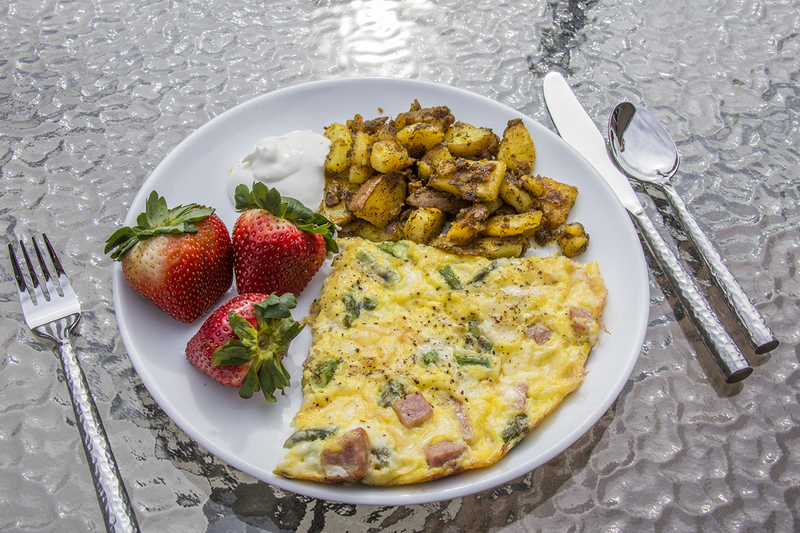 Frittatas are extremely customizable. You can change the meat, veg, or cheese as you wish. It does help to keep similar proportions though.